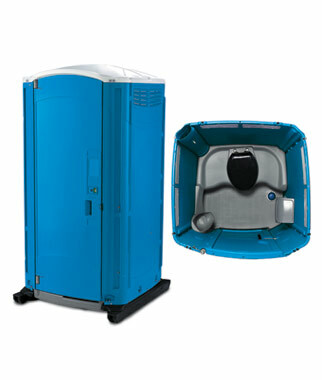 Our flushable portable toilet rentals are ideal for upscale events and perfect for weddings. With more features than our Deluxe Portable Toilets, our flushable portable toilet offers an added level of comfort and convenience for guests including sanitary hands-free flushing via a foot-pump and a hidden waste tank. Our flushing portable toilets feature a closed holding-tank system and can also be equipped with a sink to give you a complete restroom experience. Ask your representative to see if our “Wedding White” flushing toilets are available in your area! We can also help you determine how many toilets you’ll need at your event.